Boston City Councilors Michelle Wu and Stephen Murphy are sponsoring a measure to create a bring your own bottle, including beer or wine, program to area restaurants to be introduced to the City Council Wednesday. The proposal cites the difficulties small restaurants have getting liquor licenses as a reason for the measure. 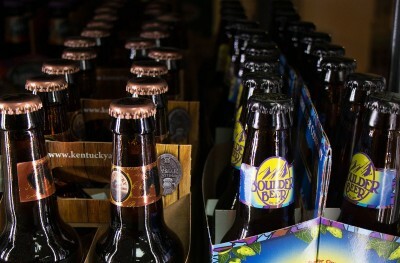 “Alcoholic beverage licenses to serve liquor and/or beer and wine are often unattainable for small and start up restaurants in Boston due to scarcity and cost; and some smaller restaurants may not wish to offer alcohol on the menu due to the large fixed costs and logistics of finding suppliers and purchasing minimum numbers of cases up front,” the proposal said. There is a cap on the number of liquor licenses that can be given to the city of Boston, set by the Alcoholic Beverage Control Commission, who delegates quotas to cities and towns based upon populations from census data, according to the Commission’s website. The most recent quotas were released following the 2010 census. Perkins said Boston’s liquor license quotas are extremely limited compared to other New England cities. The approval process for a legal “pouring license” by the ABCC, operates on the type of establishment applying and the type of liquor license desired, be it all alcohol, wine only, malt only or wine and malt. Applying for the license is an investment, not only in the money paid, but in the time to get approved. It takes usually three to four months, during which there are hearings, paperwork and inspections, Perkins said. Perkins also said there is an inherent health issue involved with working around the liquor license. Overall, based on the season and location, Perkins said, licensing could be complicated. The City of Boston Licensing Board, who could decide the permitted types and amounts of alcohol a customer could bring in and whether BYOB fees would be attached, is under the mayor’s sponsorships. Laura Oggeri, the chief communications officer for the City of Boston, said Boston Mayor Martin Walsh is looking forward to reviewing the proposal and seeing how this might work for the City of Boston. Christopher Muller, a professor at Boston University’s School of Hospitality Administration, said this measure would economically stimulate businesses against the potential monopoly of already successful full-service restaurants and bars. Several residents said there are numerous benefits and potential problems with the proposal. Alex Varrichio, 19, of Kenmore, said cost efficiency is a big reason to support the proposal. Joseph Curtin, 19, of Fenway, said the proposal would be beneficial to new restaurants that wouldn’t be able to afford a liquor license. “That is really a pricy thing for new restaurants to deal with,” he said. Sealine O’Neal, 65, of Brighton, said carding would become more of an issue if BYOB were to become a standard in restaurants. Scott Rawdon, 26, of Allston, said the proposal must also be considered from the side of restaurant employees.